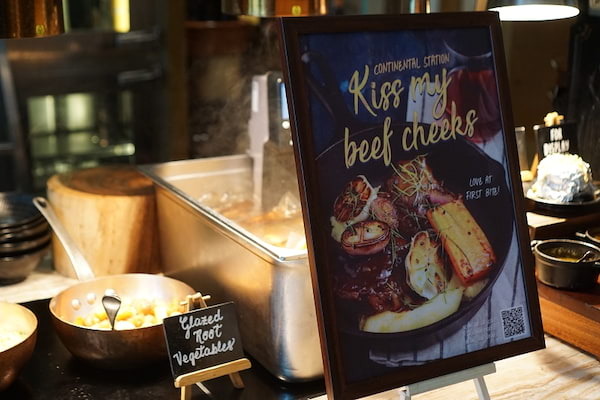 This warm and welcoming signature buffet restaurant located in BGC is a modern food hall that features nine uniquely designed live kitchens to entice all different kinds of cravings one can have when famished for an eat all you can feast! High Street Cafe at Shangri-La at the Fort, Manila, stands out from the many buffet offerings of the metro by showcasing its 'culinary neighborhoods' -- nine stations that offer diverse flavors and cuisines, often surprising with its dishes because they are not your typical buffet staples, which is always refreshing for buffet veterans who are keen to try newer things. Think of High Street Cafe as a teaser of all the flavors and offerings of the hotel all rolled into one sumptous buffet experience, a chef's library of sorts that is a collection of the many cuisines, cooking techniques, and ingredients. 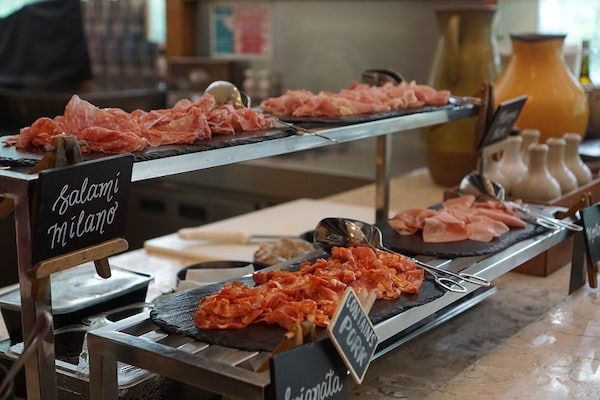 Ready your appetite as we share the buffet's top picks to get your money's worth! 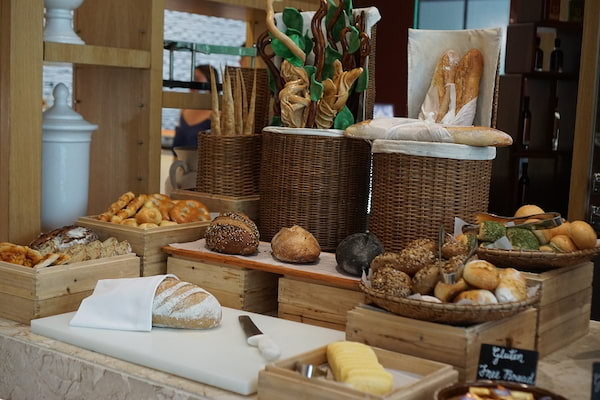 High Street Cafe's bread, cheese, and charcuterie is a classic trio that will start your buffet right -- their assortment of bread also includes gluten-free options, while cheese options include brie, gruyere, and gorgonzola. Pass by the seafood station and get yourself some refreshing ceviche, reflective of the bright flavors of Peru that Shang Fort's restaurant Samba offers. 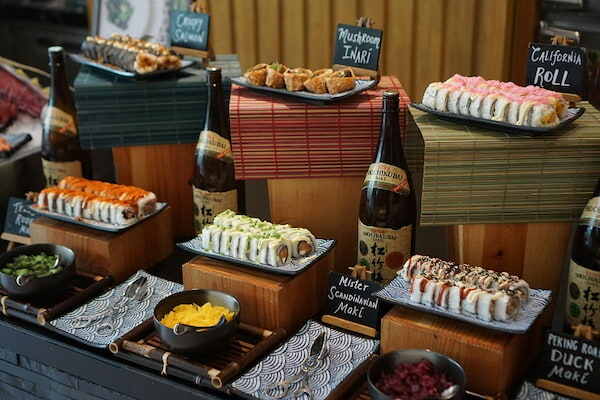 Turning Japanese for your appetizers here at the buffet spread is a good idea too -- their selection of sushi changes from time to time, offering classic rolls and more playful ones like peking roast duck maki. 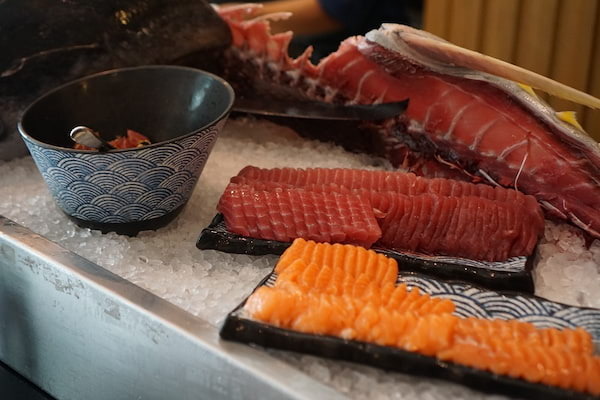 Sashimi is always fresh and succulent, too! 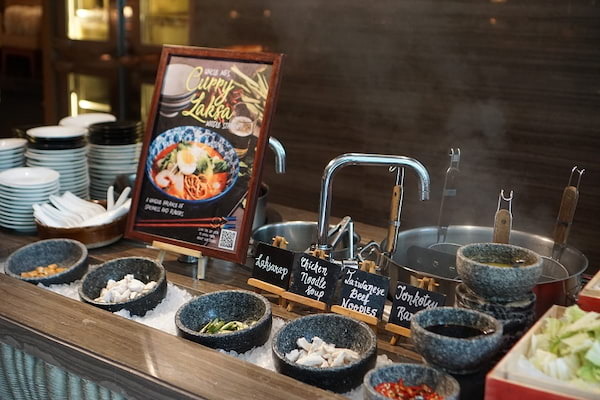 High Street Cafe's signature dishes aren't your typical buffet food -- and this is why they come highly recommended. 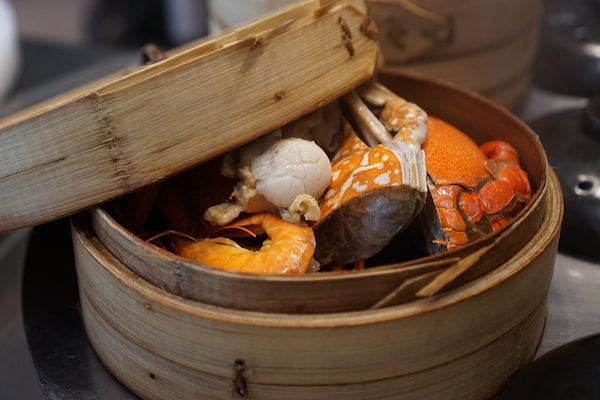 These are all and always prepared using fresh and seasonal ingredients, and hotel guests can actually enjoy some of these a la carte or at home, as select dishes from the menu are available for retail. 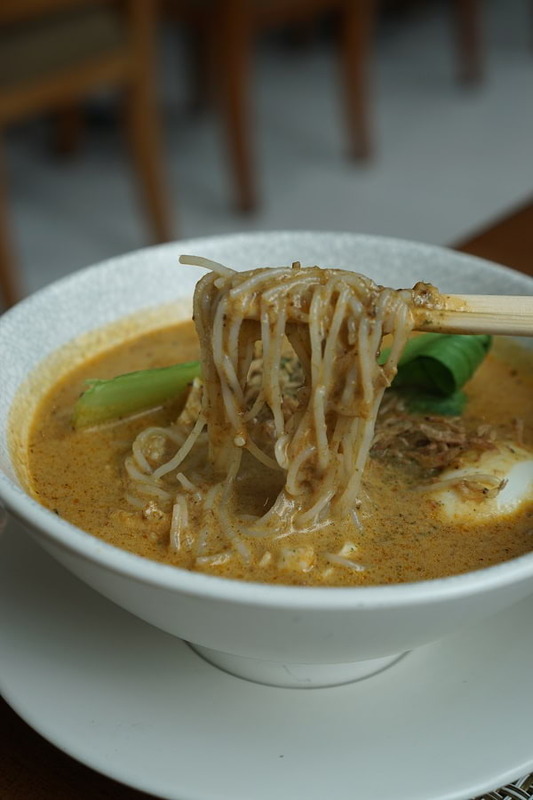 Uncle Ng's Laksarap: the most popular dish in the buffet, it's a bowl of comforting traditional Malaysian noodle soup that's a family recipe from Chef Ng Tzer Tzun passed down over the years. 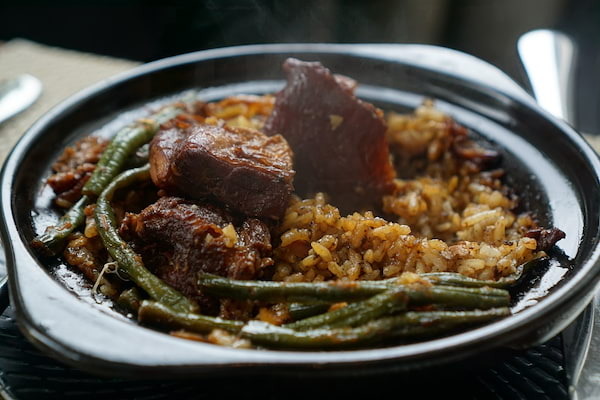 Dong Bao Claypot Rice: another customer favorite, this dish is cooked in a traditional Chinese claypot, with the pork slow cooked in a special homemade sauce. 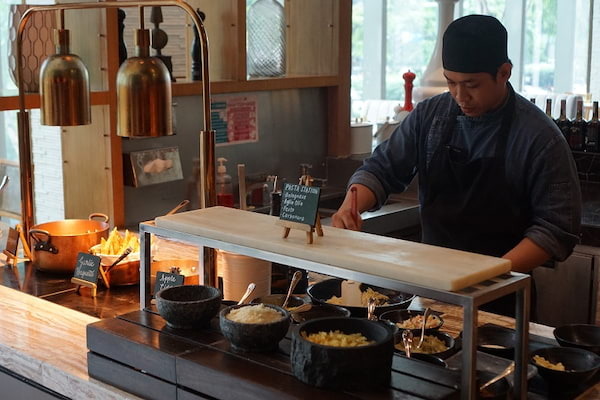 There are nine live kitchens featured in this restaurant, so save space to taste something from each of these stations: Continental, Rotisseries, Seafood and Raw Bar, Meditteranean, Salad and Greens, Japanese, Chinese, South East Asian, and lastly, the Sweet Spot, its dessert and pastry section. 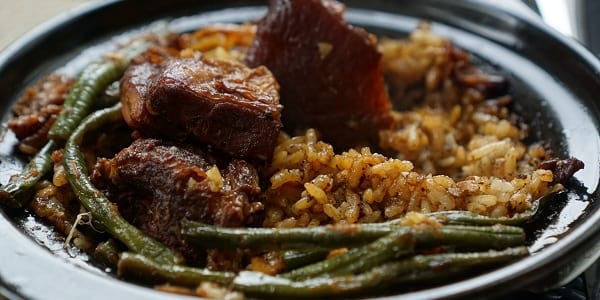 Every station focuses on using fresh and seasonal ingredients, sustainable fare whenever possible, and signature dishes are prepared right in front of you! 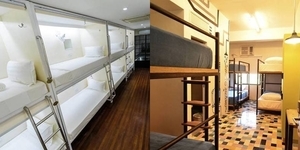 For unlimited access to different thirst quenchers, you can upgrade your buffet experience by adding P300 nett/person. 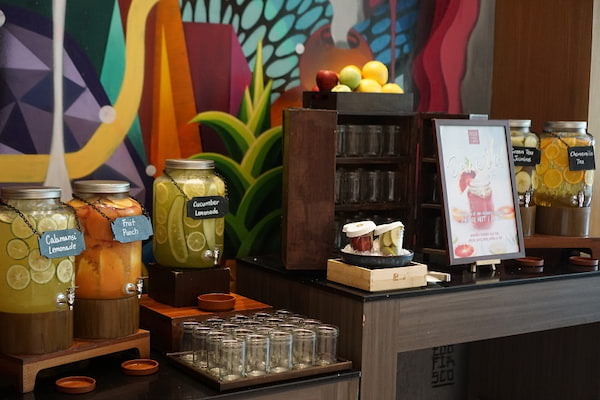 You can drink up from their selection of free-flowing non-alcoholic beverages such as homemade iced teas in assorted flavors, chilled juices, sodas, coffee, and tea. High Street Cafe is also the buffet to be for all the seafood lovers, because they're bountiful with fresh fish and crustaceans. 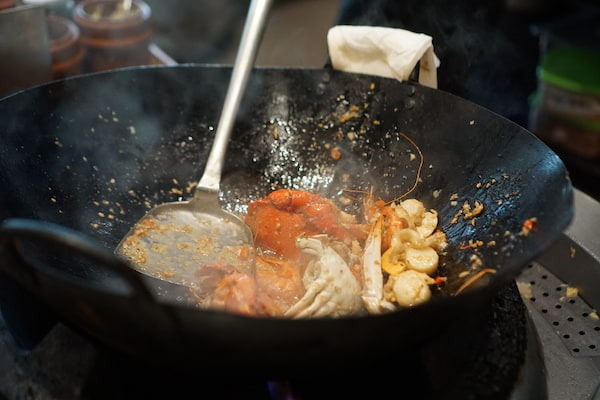 You can have your crabs and prawns cooked as you please at the wok station (tip: have it with lots of garlic and of course rice), and you can pair your seafood with their selection of dips and sauces. 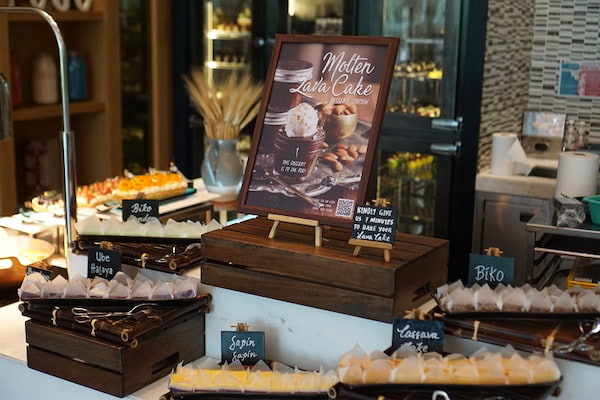 Make room for a couple of sweets (or three or four, or more), because there are standouts in this buffet restaurant. 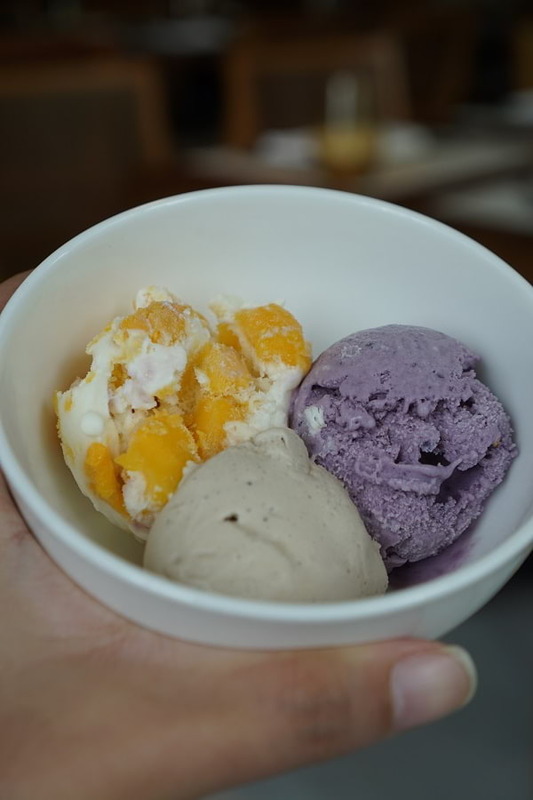 High Street Cafe makes their own ice cream and sorbet, so have a scoop or two or as much as your sweet tooth is craving here -- interesting flavors like ricotta orange, burnt rice, and buko lychee sorbet are must tries. Pinoy sweets in the form of kakanin are also available, like cassava cake, sapin sapin, and biko. Love chocolate? 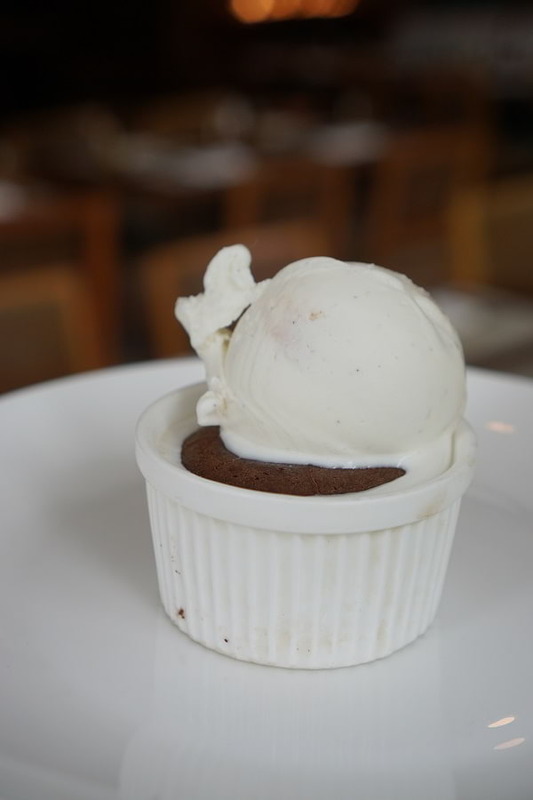 Don't miss out on their Molten Lava Cake -- always freshly baked upon order that the 7 minute wait makes it worthwhile. Another dessert chocoholics need to get in this buffet is their sneaky good flourless chocolate cake, which pops in and out the buffet lineup occasionally so keep your eyes peeled. 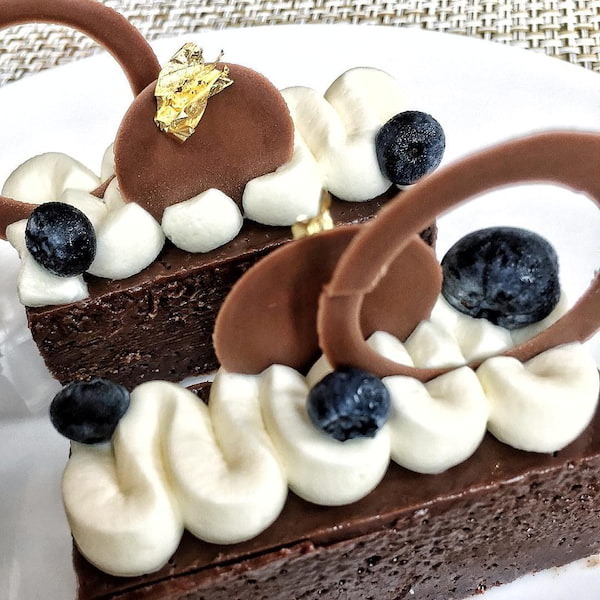 It’s fudgy, ultra rich, and a chocolatey punch in the gut that fiesty dessert monsters will enjoy! High Street Cafe is at level 2 of Shangri-La at the Fort, located at 30th Street corner 5th Avenue, Bonifacio Global City, Taguig. Visit their official website (www.highstreetcafe-fort.com), like Shangri-La at the Fort, Manila on Facebook and follow @dineshangrilafort on Instagram. 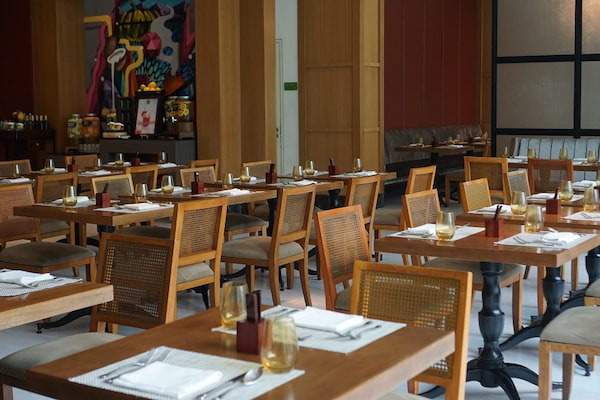 For reservations, call +632-820-0888 or e-mail highstreetcafe@shangri-la.com.